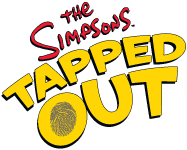 The Simpsons Tapped out has received an in game update for iOS and Android. While there don't seem to be any new items or enhancements, there is some new dialog and missions which are initiated as soon as you install the update. [UPDATE] A second in game update was released for the device... Its likely a continuation of the previous update. Feeding the Trolls - Make Lisa read the Tapped Out Forum for 4 hours ( 175 45). You will be awarded an additional 100 and 10 for completion. At the end of the mission the game will also announce that The Treehouse of Horror Update is coming October 1st. Be prepared to be scared.